Glaiza de Castro proves once again her strengths as an actress. Let’s be honest: Liway is not a film you would normally plunk down 200+ of your money after a hard day at work. It’s not a barrel of laughs, there are no explosions or CGI spectacles, there is no electric thrill of kilig. But in an age when the son of a dictator can brazenly attempt to revise history and have his efforts abetted by the republic’s most corrupt politicians, Liway is a movie we all need to watch. Liway unfolds through the eyes of Dakip (newcomer Kenken Nuyad), growing up in a prison camp in the early 80s because his parents (Glaiza de Castro and Dominic Roco) were anti-Marcos dissidents who were captured while his mother was carrying him. The boy has known only the deprivations of captivity and the casual horrors of growing up alongside criminals, but his mother insulates him from it all by telling him stories of a mythical enchantress named Liway, much to the tacit disapproval of his father, who would prefer that the boy be indoctrinated into the harsh injustices of the world as soon as possible. After the brother of a student activist (mistakenly believing that his mother had his brother killed during their stint in the mountains) creates a scene, it slowly dawns on Dakip that the story of Liway is actually his mother’s story. Certain parts of Liway don’t work. In the beginning, the film flirts with Life is Beautiful lachrymosity, but the brilliant idea of using shadow puppets to visualize the myth of Liway offsets the danger of Roberto Beningni-style sentimentality. And then, frustratingly, Director Kip Oebanda abandons it at the point when his story gets darker, at the point when it could have been an effective framing device for his narrative. Instead, the events unfold in a straightforward, almost prosaic manner all the way to its half-baked climax, when artistry could have made the film soar. Still, there are many things to recommend. 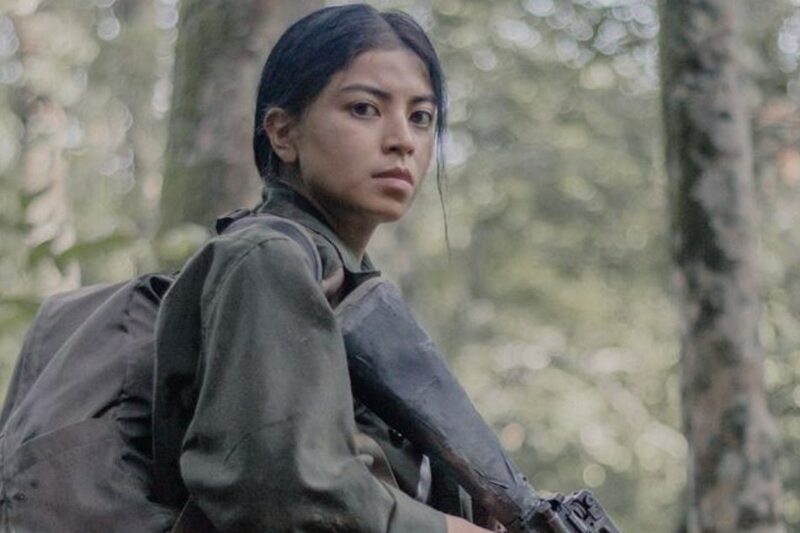 Glaiza de Castro proves once again her strengths as an actress, her saucer eyes and restrained performance communicating her watchfulness, the vestiges of her fierceness and idealism, as she walks the tightrope of preparing her son for the cold realities of the world without extinguishing the fire of his hope. And remember that half-baked climax I mentioned a paragraph ago? Stick around for the postscript where the director’s personal connection to the story is revealed—it is one of the most affecting twists ever unveiled in a Filipino movie. It underscores the fact that Liway, despite its faults, is a necessary film in this era of historical revisionism. It is a story that needs to be told.